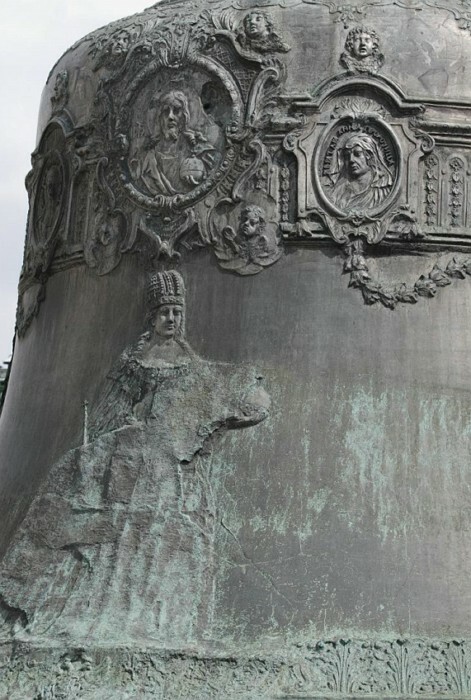 Tsar Bell was cast in 1733-1735 on the order of Empress Anna Ioannovna by hereditary Muscovy casters and bell founders Ivan Motorin and his son Mikhail. 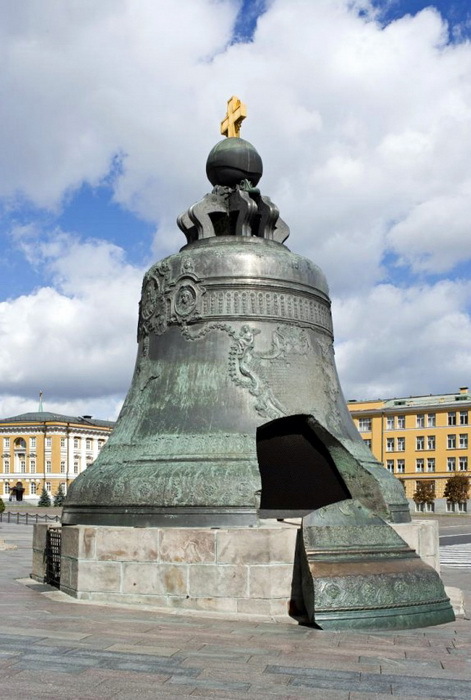 Up till now, the Tsar Bell is considered to be the biggest one in the world. 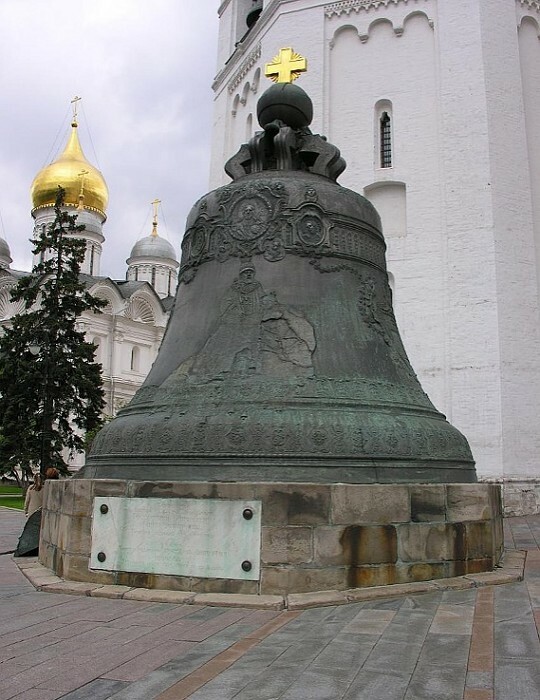 It weighs about 202 ton, it is 6.14 meter high and its diameter is 6.6 meters. 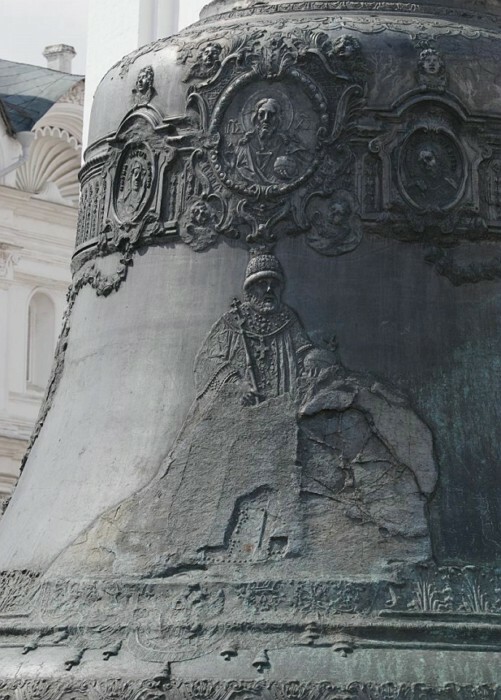 The history of making the bell is full of many difficulties, failures, and disasters. 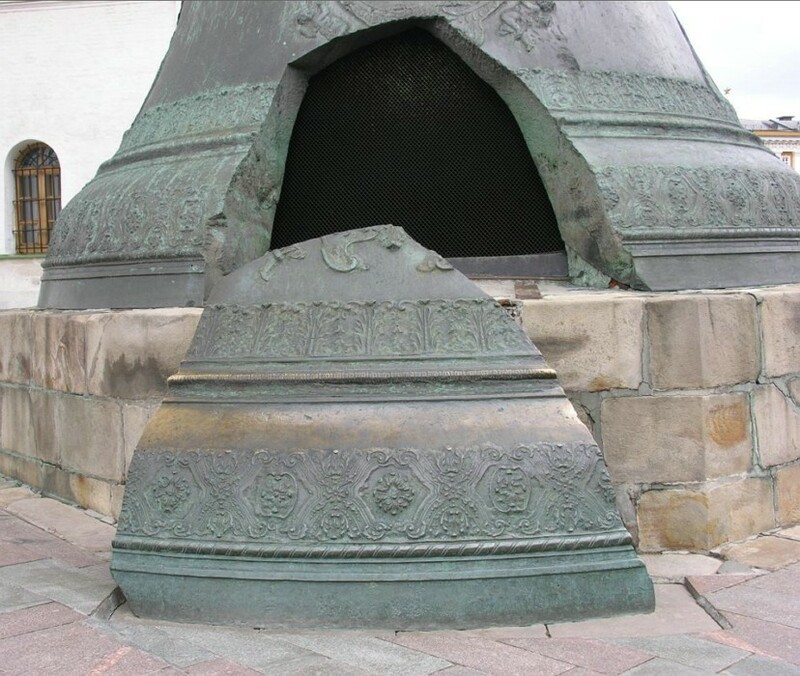 The bell was formed and cast in a special moulding pit at Ivanovskaya Square to the east of the Ivan the Great Bell-Tower. 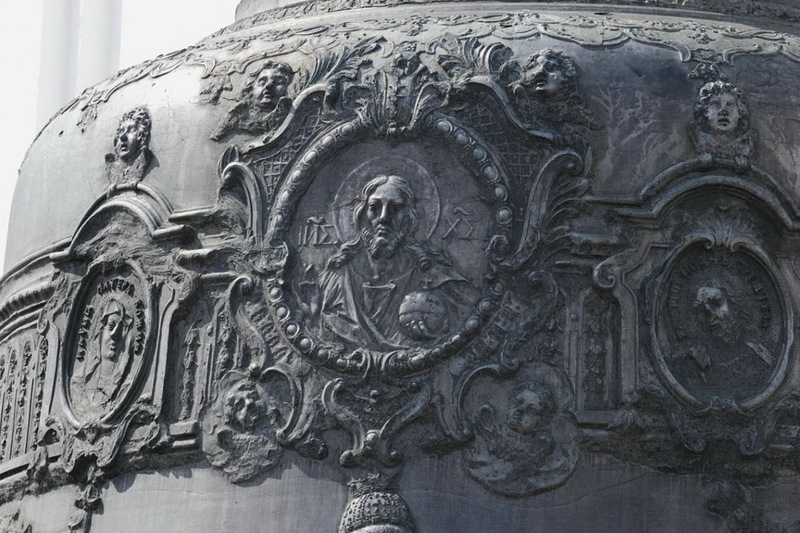 Woodcarvers from St. Petersburg—Vasily Kobelev, Pyotr Galkin, Pyotr Kokhtev, Pyotr Serebryakov and the moulding master Pyotr Luokovnikov were commissioned to make the relief ornamentation. 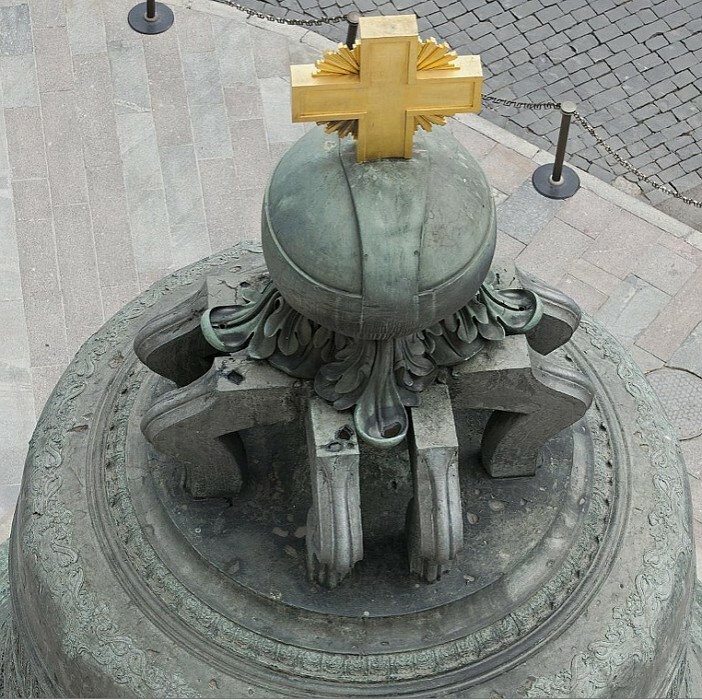 The name of the sculptor was discovered not long ago—it was Feodor Medvedev who got educated in Italy. Preparatory works took almost two years. At the end of 1734, the masters began the heating of metal in specially built furnaces, but soon the leakage was found out. 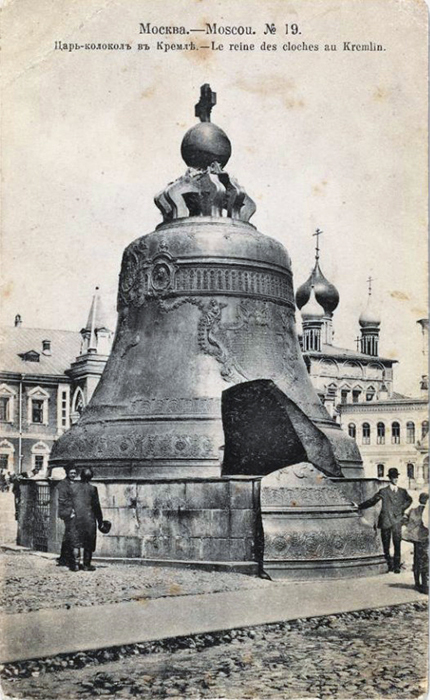 At the same time, the fire destroyed wooden lifting constructions above the bell. 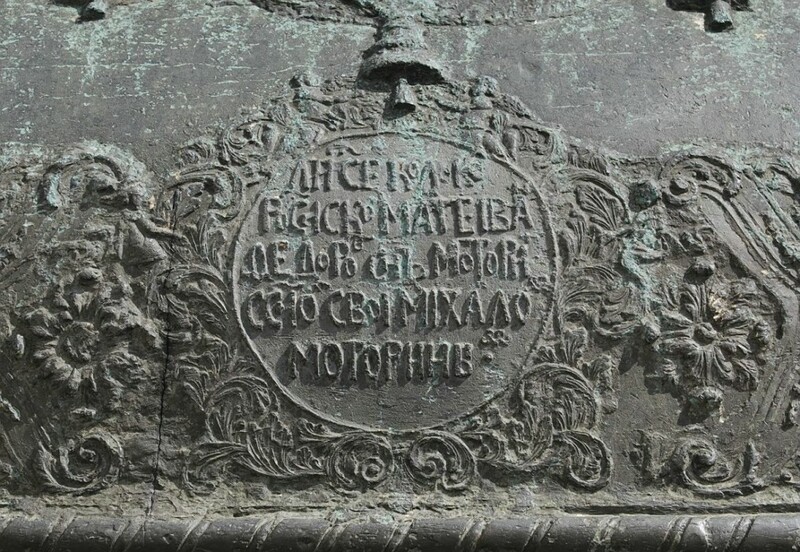 The work was recommenced, but when Ivan Motorin died in August 1735, his son was entrusted with the work.